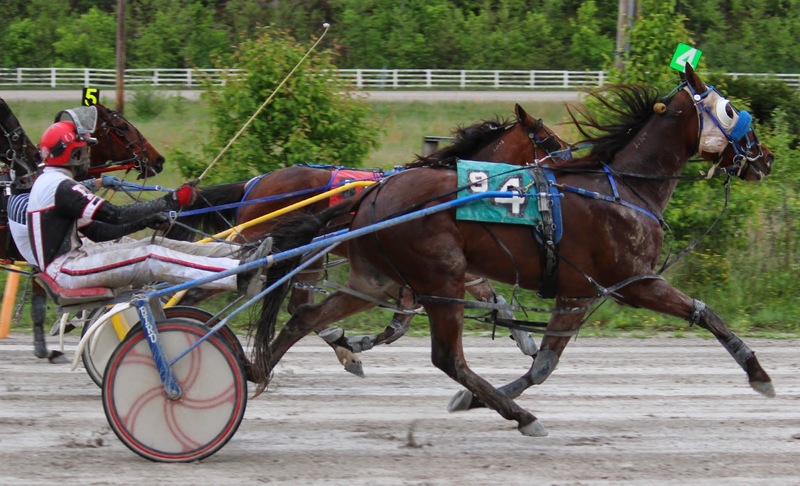 Fish Tales came from last at 3/4 to win by 3 in 1:59.4. 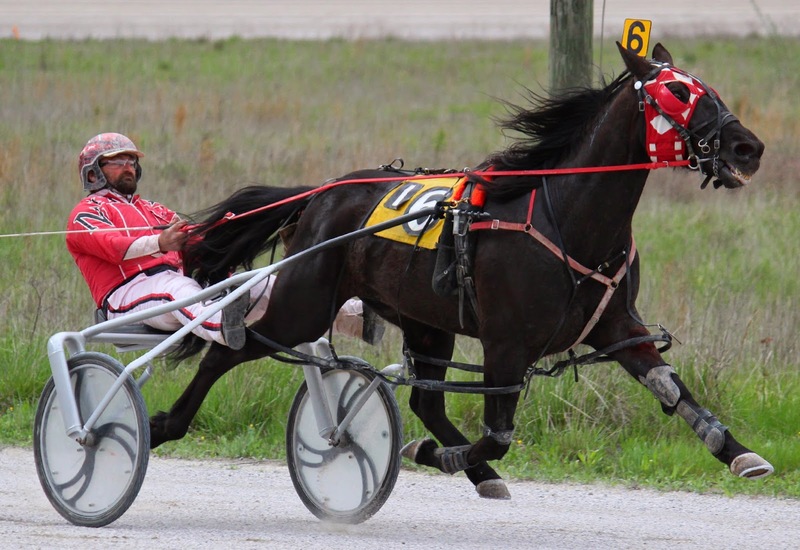 The 6 year old Cam's Card Shark gelding is owned by Elma Ferguson and is trained and driven by Gary Neafus. 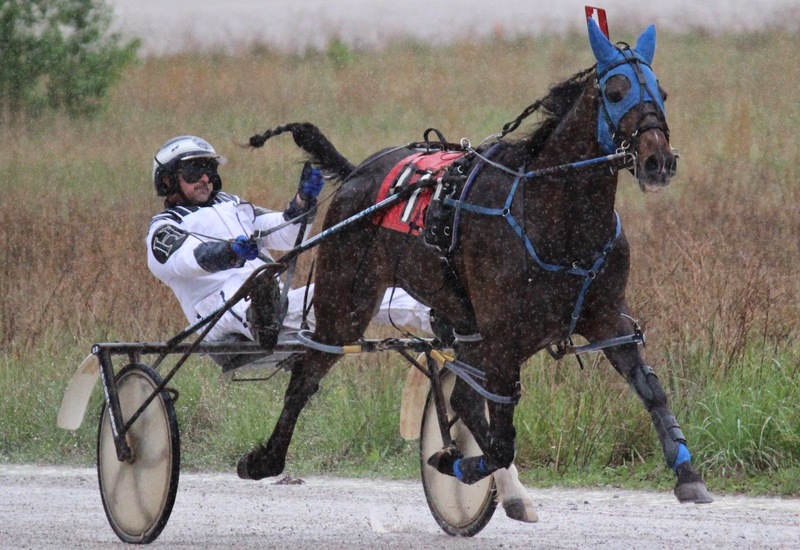 In the first race of the evening, You Raise Me Up was an easy wire to wire winner over the sloppy track. 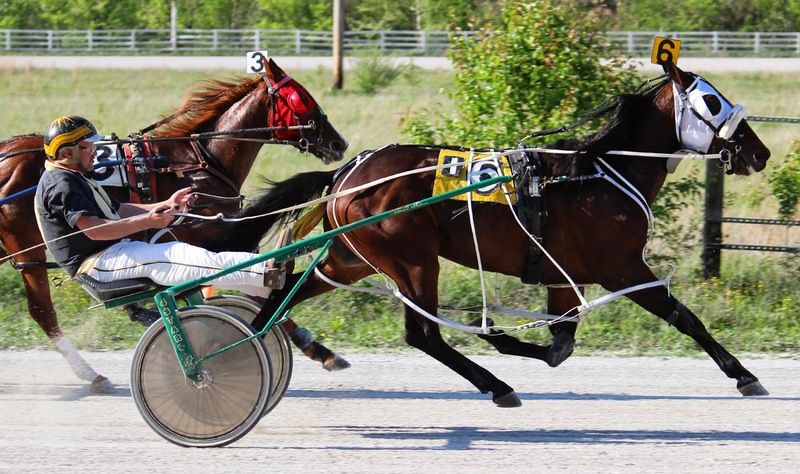 The 9 year old mare won by 3Q in 2:00.2. 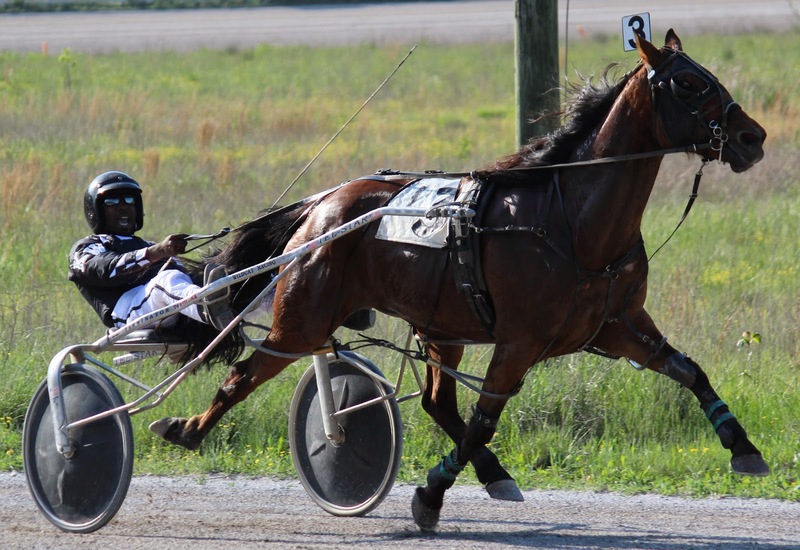 She is owned by Tamara Safewright-King, trained by Morgan Hagerman and was driven by Herman Hagerman.